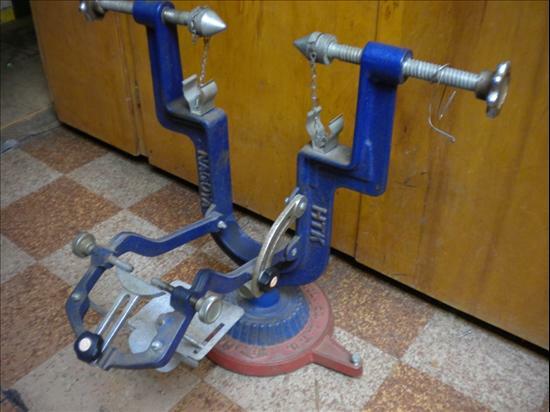 This truing stand is from Japan, marked HTK on one leg; Nagoya on the other. It appears as if it would also work on moped or small motorcycle wheels. It is extremely heavy cast iron; I believe (but am not sure) that it dates from the 1970s.